Since I'm busy and I don't have time to write a long and detailed review, I'll just make this short and straight to the point. If you have nothing to do this weekend, take the chance to see the last shows of Atlantis Productions' latest offering: Next to Normal. 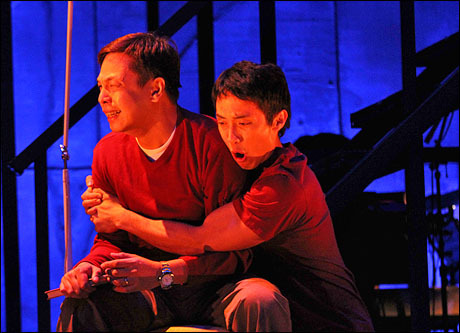 Jett Pangan and Felix Rivera on a Father and Son confrontation scene. The show totally blew me away. I never cried this much since RENT. Everything about it is a perfection. 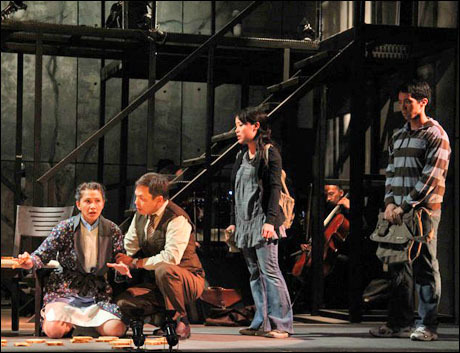 From a thought provoking plot, groundbreaking music, edgy set design and fantastic cast. 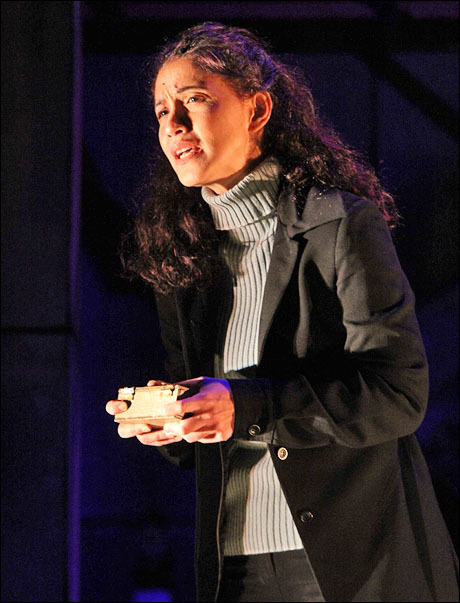 Next to Normal is a complete indulgence not only for musical theater lovers but also to those who just want to see a show who talks about a substantial issue that many people can actually relate. It could be different to most of the feel good musicals that premiered this past few years but it has a heart that will definitely inspire everybody to stand despite all the hardships of life. This is absolutely another milestone for Director Bobby Garcia and everyone in Atlantis production most specially the cast: Menchu Launchengco-Yulo (Diana), Jett Pangan (Dan), Felix Rivera (Gabe), Bea Garcia (Natalie), Markki Stroem (Henry) and Jake Macapagal (Dr. Madden/ Dr. Fine). I will never forget this show and it will definitely be added to the list of my favorite musicals together with Moulin Rouge! and RENT. Last chance to see the show this weekend. March 26 (2pm, 8pm) and 27 (3pm and 8pm). For 8pm shows call 0915 6216512 or go to Shows in Manila website to purchase your tickets. Don't miss this memorable musical event. Grab your tickets and see you at the theater.